Take a look at what was seen on the feet of several NBA stars so far this week. Unexpectedly, last night turned out to be one of the most interesting nights we've seen in the NBA this year. We saw the Cavaliers score a season-low 57 points in a loss to the Lakers, while Washington's Nick Young almost outscored the entire Cleveland team with 43 points in an OT win over Sacramento. And amidst all the trade talks surrounding Carmelo, the Denver Nuggets got back into winning form after lighting it up for 132 points over the struggling Suns. Arron Aflalo tallied a career-high 31 points for the Nuggets, while 'Melo came through with a 28 point and 10 rebound double-double. 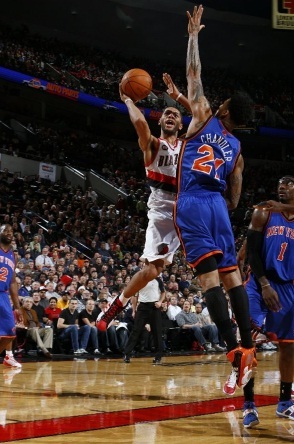 The Knicks also got back into winning form, handing the Blazers' their second straight home loss, 100-86. Amar'e came through in the Zoom Huarache Trainer once again, dropping 23 points for the Knicks. For a look at the rest of today's Sole Collector NBA Sneaker Watch, check below. 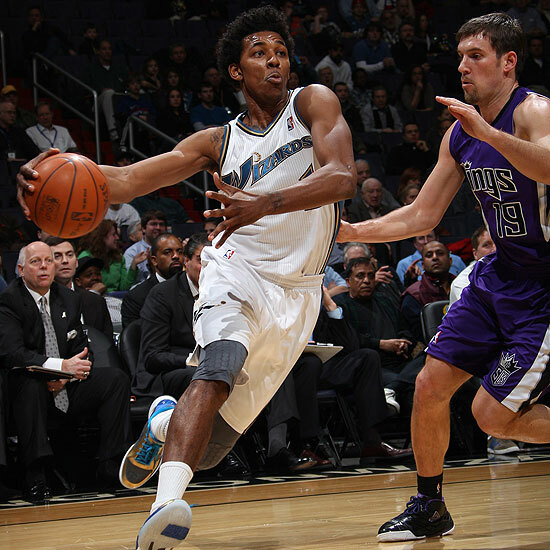 Nick Young in the Nike Zoom Kobe V iD. 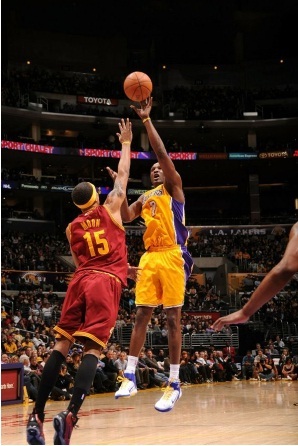 Shannon Brown wears the Nike Zoom Kobe VI, while Jamario Moon is seen in the Nike 1/2 Cent. Lamar Odom wears a PE make-up of the Nike Air Max Fly By. 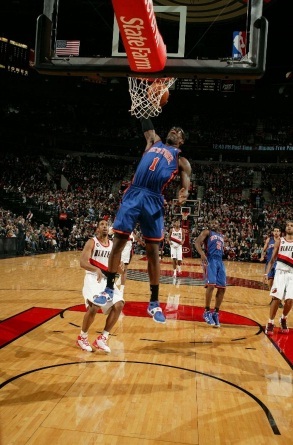 Amar'e Stoudemire gets the dunk in the Zoom Huarache Trainer. Nicolas Batum goes up in the adidas Pro Model 2010. 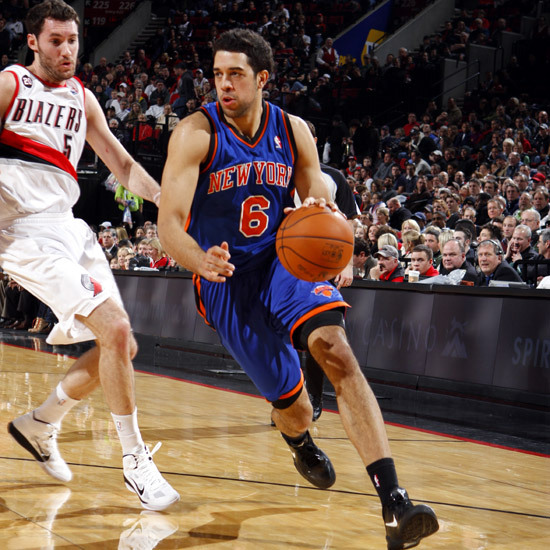 Landry Fields in the Nike Zoom Kobe V.
'Melo in his signature Jordan Melo M7. 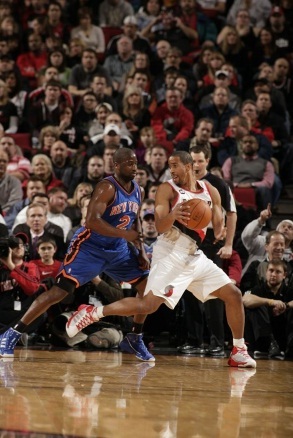 Andre Miller in the adidas adizero Infiltrate. 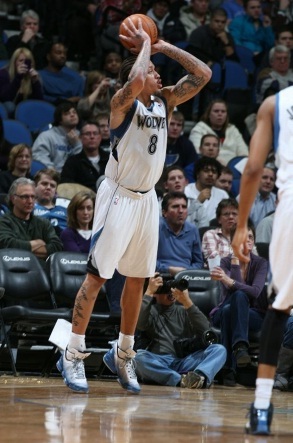 Michael Beasley wears the adidas TS Heat Check. 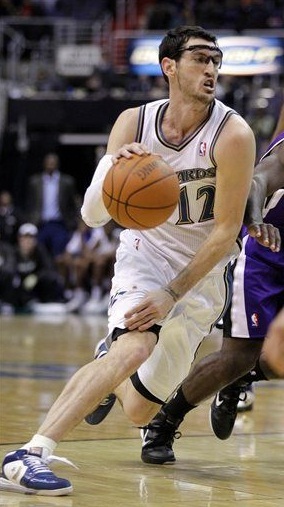 Kirk Hinrich drives in the Converse Weapon Evo. Omri Casspi of the Kings in the Zoom Hyperfuse. 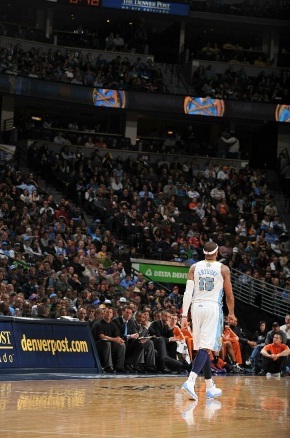 Steve Nash and Ty Lawson in the Zoom Go Low and Zoom Hyperfuse, Respectively. J.R Smith goes up in style wearing the Nike Zoom Kobe VI.